Good morning everyone! Hope you all had a lovely Thanksgiving (USA), and those of you who do no celebrate Thanksgiving, are having a wonderful season. I have been trying to think of what to get my Fiance for Christmas. Last year he made me a beautiful treasure box out of wood and I absolutely love it! 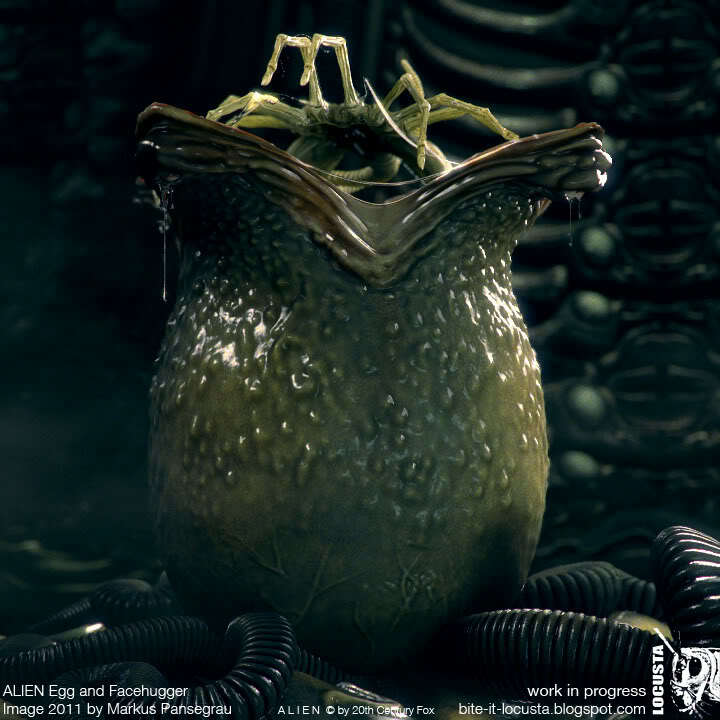 I wanted to make him something as well, and narrowed it down to something from the movie Alien(s) because that is his most favorite movie series. So far it’s been a slow process because I’ve been researching and deciding the best way to create this. 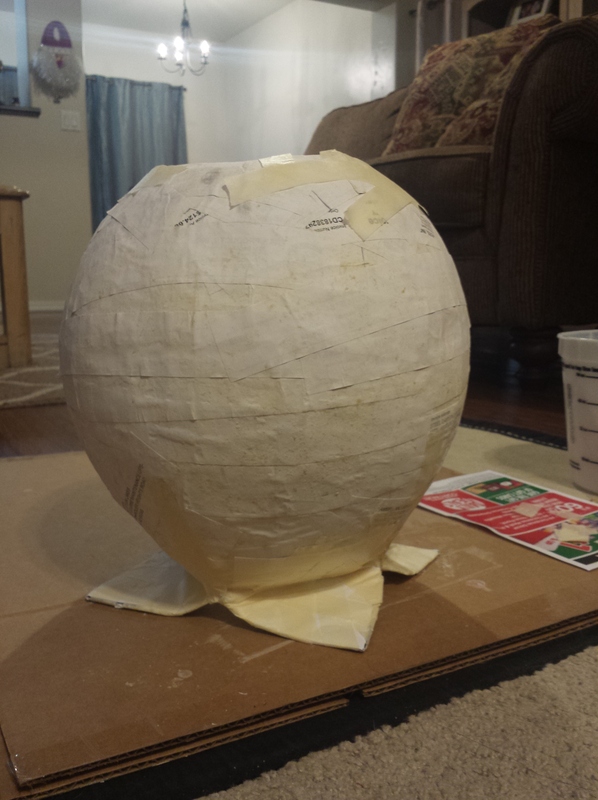 In the end I’ve decided to make it a piggy bank, and to build it out of paper mache and paper mache clay. So yeah, I know it doesn’t look like much right now, but I’m just building the form still. Once I get the form the way I want it, I will add a layer of paper clay which is supposedly shrink free! Okay, so to build the form, you just gotta do what you did back in grade school. A balloon and some paper mache! I apologize, I forgot to take pictures of the beginning process, but this part is pretty simple so I’ll type it out. 1. I used one of the larger balloons, I believe a 16″ one. 3. I covered most of the balloon with one layer first, using regular bond paper (computer paper). I left the “belly button” of the balloon out so I could cut it later when I finished the layering. The “belly button” part is where you tie the balloon. 4. After about 4 layers (be sure to let each layer dry before you start the next) I cut a hole on the bottom half of the form so it can stand on its own. Then I drew out the “petals” on the top of the balloon where the egg begins to split open. The paper mache didn’t hold up well when I bent the “petals” over, but no fear! You can fix that by adding layers of paper mache to them. 5. After that part, I covered the top half with masking tape to make it more sturdy and a little more bendable for the petals. 6. 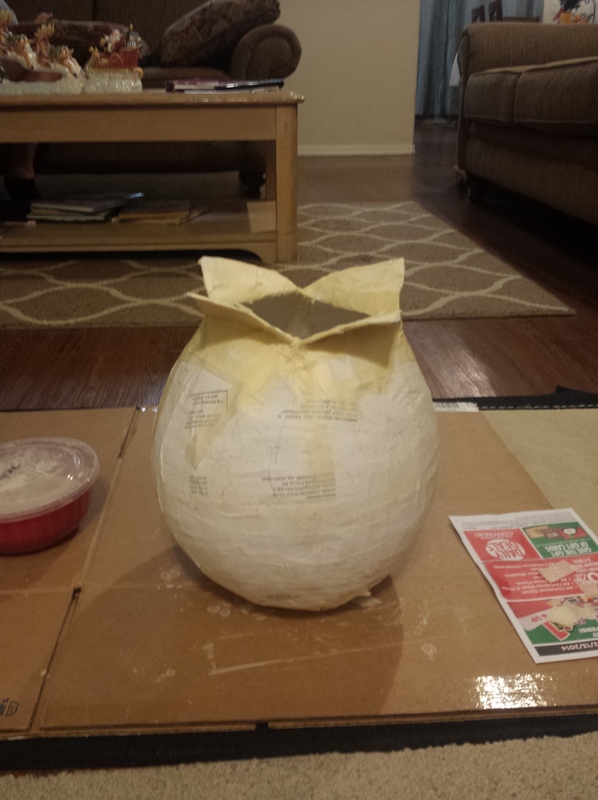 Next, I added another layer of mache to the body of the egg, and left off there. I’ll be adding mache to the the petals next, then will begin to add the paper clay. This time I’ll make sure to remember the picture taking! 4. And enough water to make it liquid/soup. Kind of like a runny pancake mix. Make sure to add a little water at a time so you don’t over do it! 5. Mix it with an electric mixer I used a whisk at first, which did an okay job, but left chunks of flour in it. 6. Make sure to store it in an air tight container in your fridge. It’ll last a few days. First you will mix the cornstarch into the cold/tap water. Then, after heating up the hot water, slowly add the cold water and cornstarch mixture into the hot water. Once that is done, let it cool and store in the fridge. Alright all! That is it for now! I should have part 2 up by the end of the week! Christmas is coming soon and I MUST finish this! If you found this helpful, please like! Leave a comment if you have questions and I’ll try to answer them!